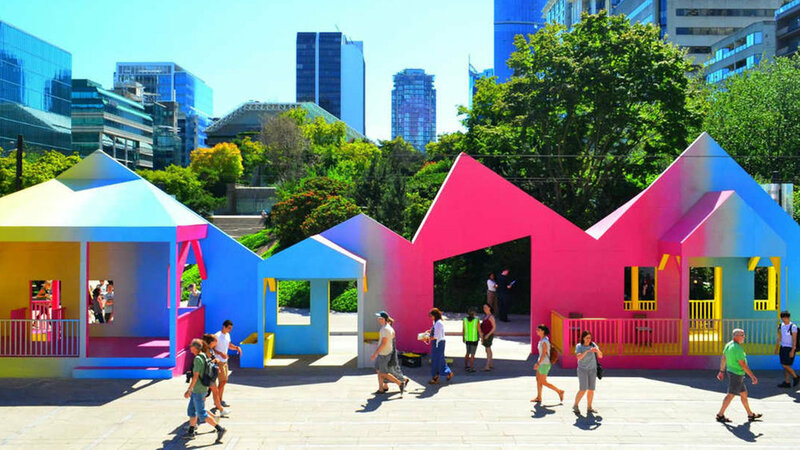 By definition, Placemaking is a ‘multi-faceted approach to the planning, design and management of public spaces. Placemaking capitalises on a local community's assets, inspiration, and potential, with the intention of creating public spaces that promote people's health, happiness, and well being’. As both an overarching idea and an approach for improving a community, city, or suburb, Placemaking inspires people to collectively reimagine public spaces as the heart of every community. Establishing a strong connection between people and the places they share, Placemaking is a collaborative process by which we can shape our living spaces and enhance our lives, interactions and experiences. Placemaking concentrates on the physical, cultural, and social influences that define a place and support its ongoing evolution. With the peoples' participation at its core – an effective Placemaking process leverages a community's assets and potential – which invariably results in the establishment of beautiful public spaces. So, how does one achieve good Placemaking? By embracing the concept of Placemaking, developers and planners (or anyone contributing to today’s constantly evolving urban landscape for that matter) can be active contributors to positive change and the legacy of urban development. Placemaking is both a process and a philosophy. 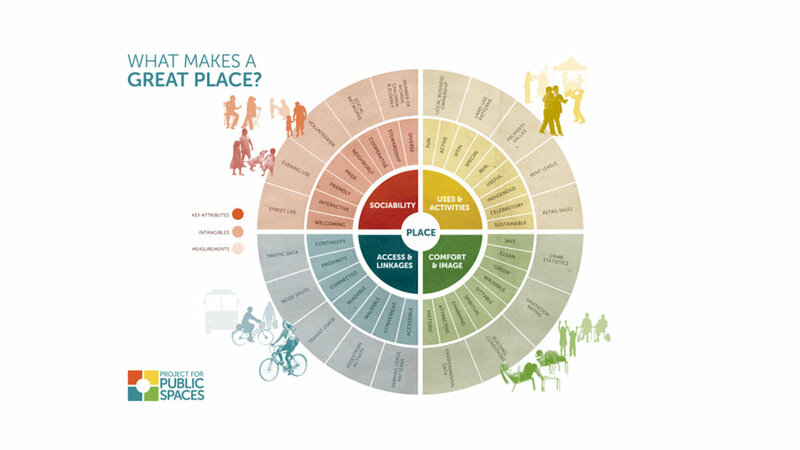 Good Placemaking comes as a result of observing and asking questions of the people who live, work, and play in a particular space, in order to understand their needs and aspirations as well as the collective needs and aspirations of the community as a whole. A great public space cannot be measured by its beauty alone; function must always trump form if we are to legitimately serve the people. When folks of all ages, stages, abilities, and socio-economic backgrounds can not only access and enjoy a place, but also play a key role in its evolvement and on-going development, that is when we see genuine Placemaking in action. 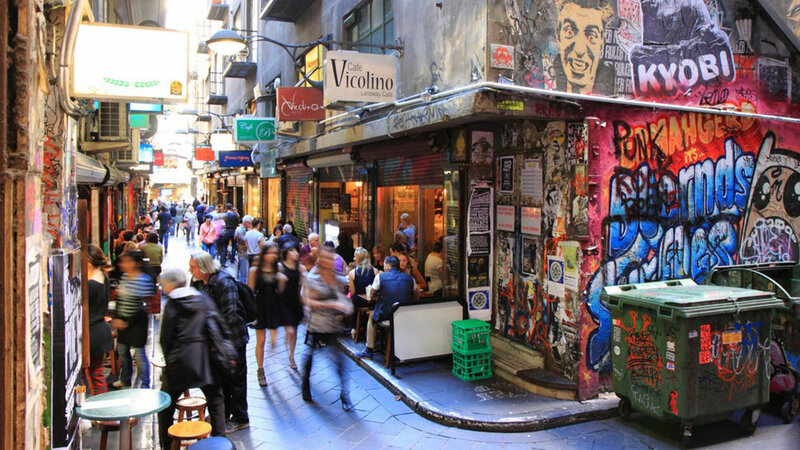 Melbourne’s laneways are a great example of how exceptional Placemaking occurred as a direct result of the community, building owners, developers, planners, artists and councils coming together and agreeing on a solid vision for a place. These narrow enclaves in Melbourne’s CBD now host independent boutiques, unique galleries, tiny cafés and hidden bars, and have created a vibrant, harmonious and flourishing destination that both locals and tourists alike embrace and enjoy. King’s Cross is one of the largest and most exciting redevelopments in London. The 67-acre site has a rich history and a unique setting. What was an underused industrial wasteland is being transformed into a new part of the city with homes, shops, offices, galleries, bars, restaurants, schools, and even a university. It’s a brand new piece of London with a brand new postcode – N1C. The Granary Square complex at King’s Cross is fast becoming one of London’s most famous meeting places. Thousands of people come here to catch up with friends, relax or conduct business, and the choreographed fountains are a spectacular attraction. The Renew Newcastle project paid landlords of empty buildings (either between tenants or awaiting redevelopment) a nominal amount of rent to manage the short-term use of the buildings. Renew Newcastle then brought in local volunteers to carry out basic maintenance on the properties (a good clean, a lick of paint and fixing broken windows), before handing them over to people and groups looking for cultural, creative and community spaces. The input from the community and potential partners in overcoming obstacles and ‘naysayers’, inspired the concept of Placemaking. Although design is incredibly important, positive and negative feedback from the community can be what really shapes a great place. All cities want to attract great talent to their communities, especially urban locations that aspire to create strong economies. Today’s talented workforce gather in such places around the world, looking for progressive areas that cherish their history and, at the same time, embrace new thinking. Ergo no progress, no talent. Art and culture need to be central to a project’s design. Early employment of these essential resources will help to facilitate a project that is well designed and ensure that its social, physical and economic Placemaking strategies are more inclusive. Search for jewels that exist within the community already. By amplifying local community assets, engagement happens as a result of fostering and encouraging that sense of ‘local’ pride. Learn about the area’s history and aspirations. By adopting a 'seek first to understand' approach, ideas become more authentic and appealing to the people they most affect. Find and recruit artists in the local community, including visual artists, performing artists, poets, writers, musicians, designers, chefs, and other creative types. Engaging local talent will help build authentic connections and brand advocates.